Aman is delighted to announce the launch of its first city property and the 27th in the portfolio – Aman Tokyo. 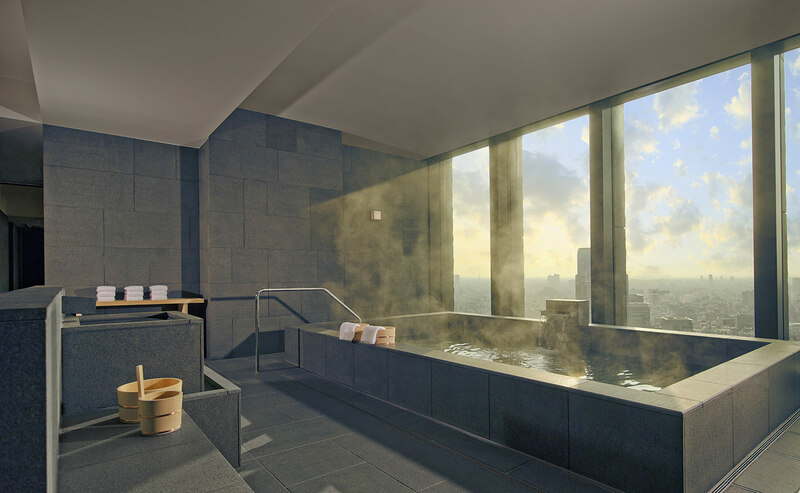 Occupying the top six floors of the recently-built Otemachi Tower, Aman Tokyo is an urban sanctuary high above the atmospheric whirl of tradition and modernity that epitomises Tokyo. 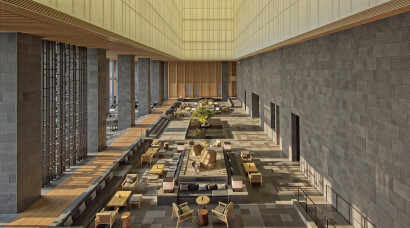 Aman Tokyo is located in the prestigious financial district of Otemachi, just steps away from Tokyo Station and the world-famous Ginza shopping district. 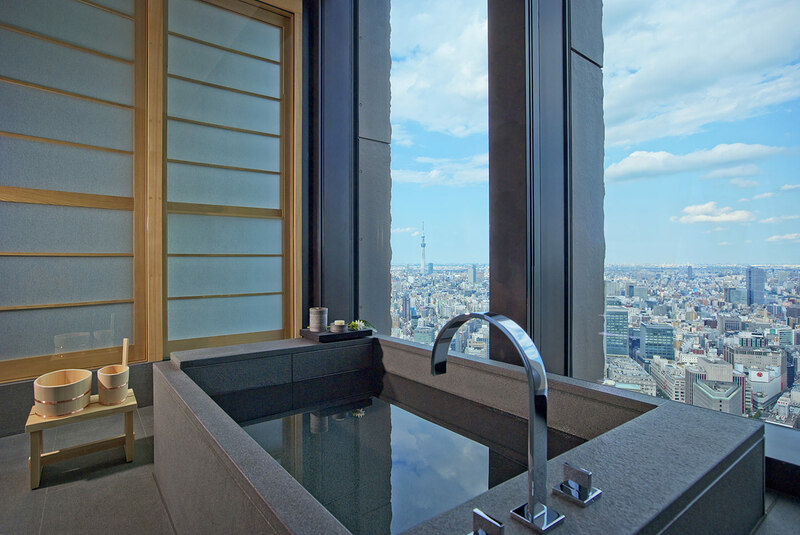 Tokyo boasts an impressive high-speed rail service and excellent transport networks, making day trips beyond the city limits easy to arrange. 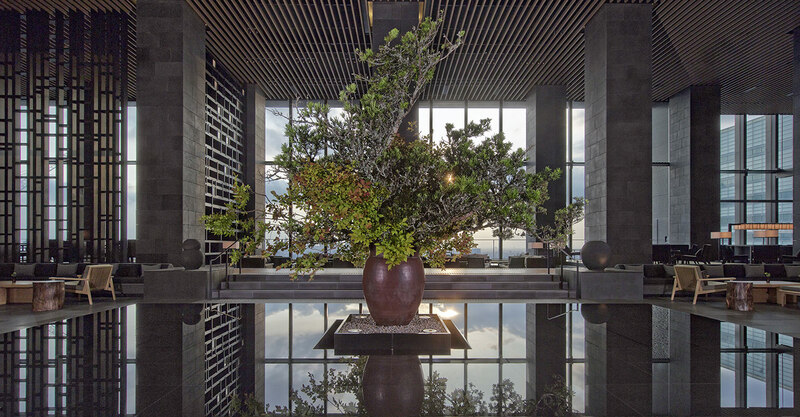 Aman Tokyo offers guided excursions to all the options of Kamakura, Nikko and Mount Fuji. 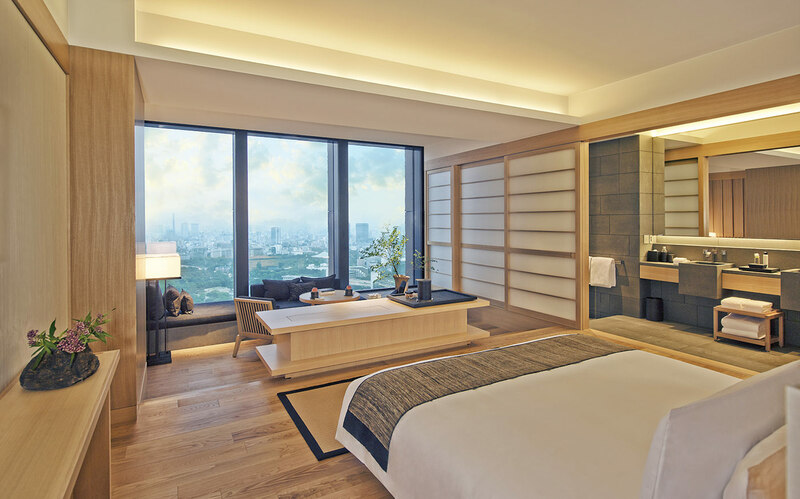 • Deluxe Rooms (30 rooms) are 71 square metres, making them the largest entry-level rooms in the city. 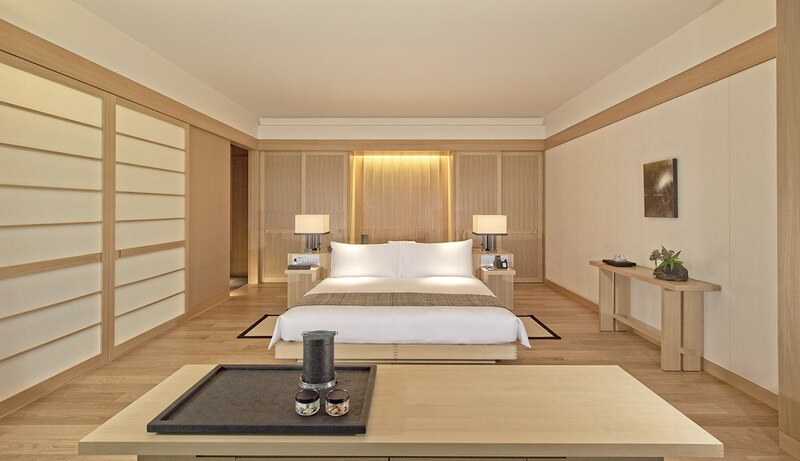 Facing the Imperial Palace Gardens, the serene bedroom flows seamlessly into the elegantly- appointed living area, with subtle Shoji screens made of delicate washi paper delineating spaces. • Deluxe Palace Garden View Rooms(10 rooms) are 71 square metres, located on the highest floor, offer a premium view of the Tokyo skyline and Imperial Palace Gardens, with space and privacy. 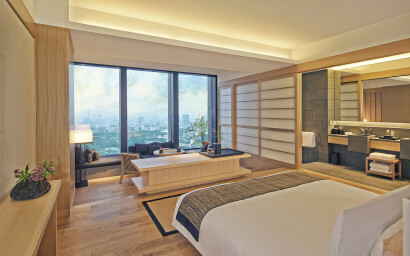 • Premier Rooms (12 rooms) are 80 square metres, with a spacious foyer and expansive bathroom. 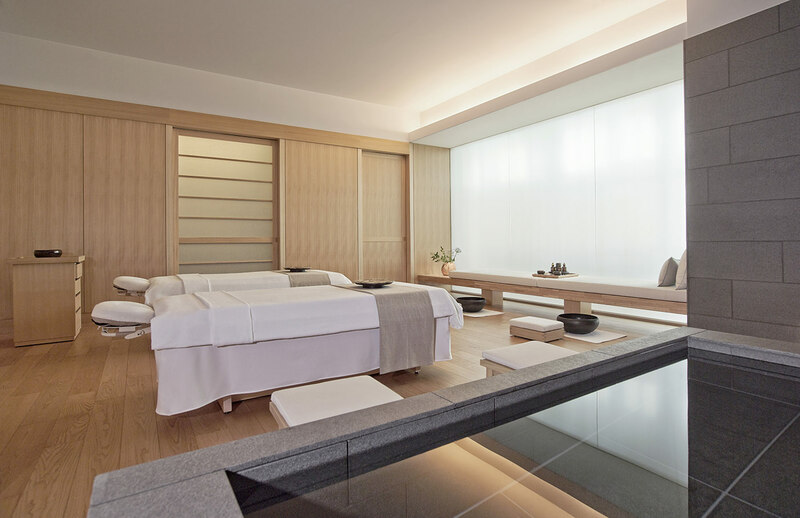 Facing the Tokyo Skytree®, these rooms embrace a Zen-like aesthetic similar to that of the Deluxe Rooms. 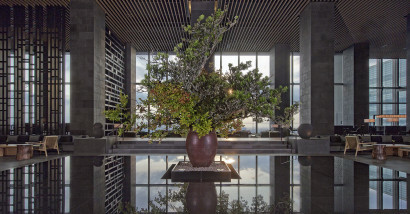 • Suites (16 rooms) are a minimum of 141 square metres, offering a sense of boundless space embracing breathtaking views. As well as a gracious living room, there is a dining table for four and a fully-equipped pantry, allowing apartment-style living in the heart of Tokyo. 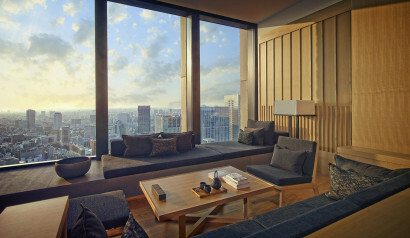 • Corner Suites (12 rooms) are a minimum of 121 square metres and are located on the corners of the building, thereby providing panoramic views and the sensation of floating above the city. Each offers a separate bedroom, living room and dining room, and pantry. 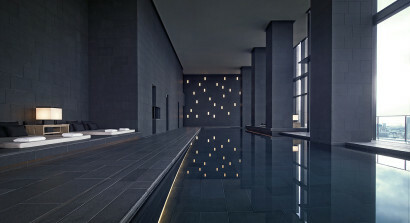 • Aman Suites (4 rooms) are an impressive 157 square metres. Positioned in the northwest corner of the building, their lofty aspect and generous proportions impart a palpable sense of calm which complements tranquil views of the Imperial Palace Gardens and the Tokyo Skytree®. • The Restaurant by Aman specialisesin cuisine from Italy’s Veneto region on the Adriatic Sea. 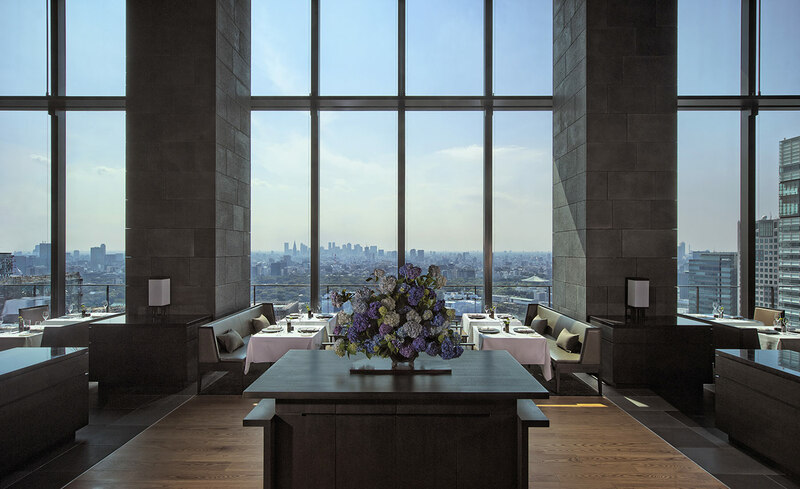 Local vegetables, meats and seafood pair with the finest imported Italian ingredients, and the dishes –like Japan itself –benefit from the proximity of sea, plains and mountains. The Restaurant, open to guests and non-residents, boasts views of the Imperial Palace Gardens and Mt Fuji. 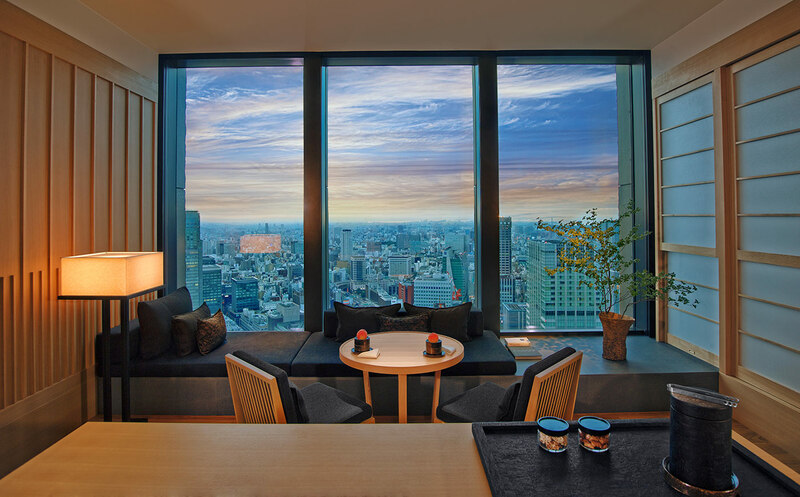 By night, a panorama of the city shimmers before diners. 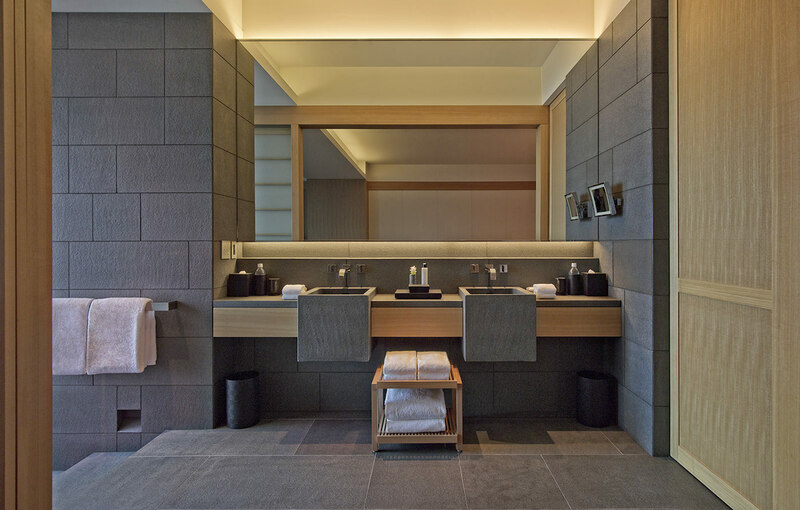 Eight treatment rooms each feature a dressing room, treatment area, steam shower and bathroom. 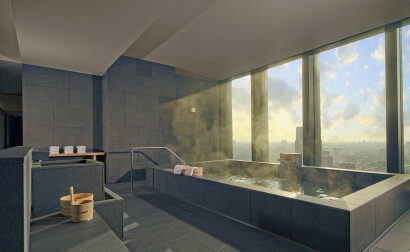 Offering magnificent views over the city, the spacious, light-filled Fitness Centre is equipped with the latest in cardiovascular and weight-training machinery. The Yoga & Pilates Studio offers Allegro reformers and other Pilates-specific equipment. Both male and female changing areas feature steam rooms, traditional Japanese and Western showers and hot baths. 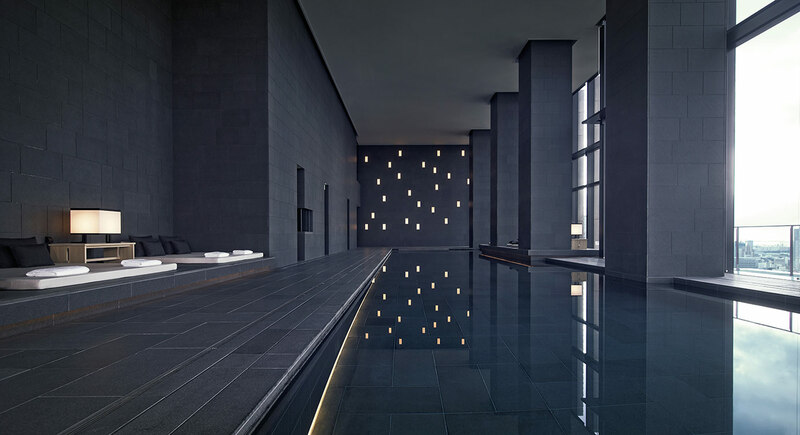 The 30-metre swimming pool is temperature controlled. • Boardroom provides seating for 16 individuals and features a 70-inch plasma screen television.